Deutsches Eck ("German Corner") is the name of a headland in Koblenz where the Mosel joins the Rhine. 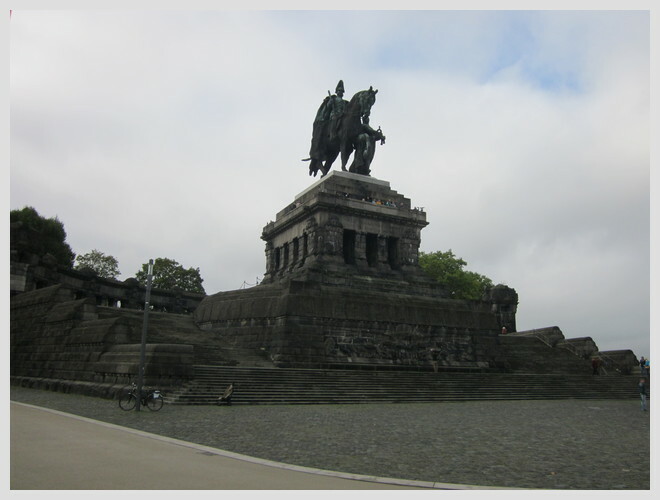 It was originally built to honour the German Emperor William I. It was badly damaged in 1945 by an American military shell and taken down. Following German reunification it was rebuilt in 1993.